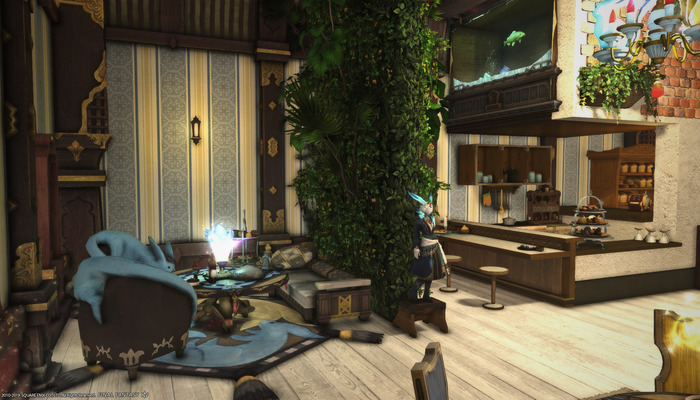 A cozy Carbuncle themed café, hidden among the appartments of Kobai Goten. 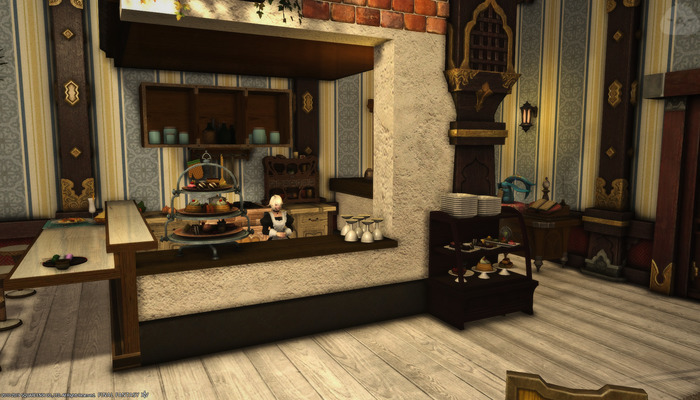 It's my first time putting some efforts into decorating something in FFXIV so I went for what I like the most, cute Carbuncles and a soothing place to get coffee and cakes. 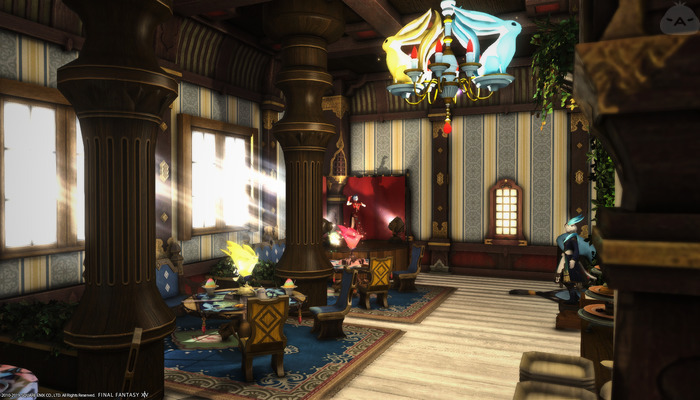 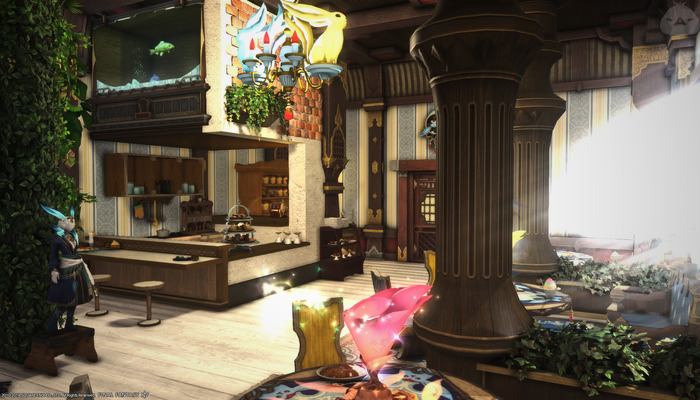 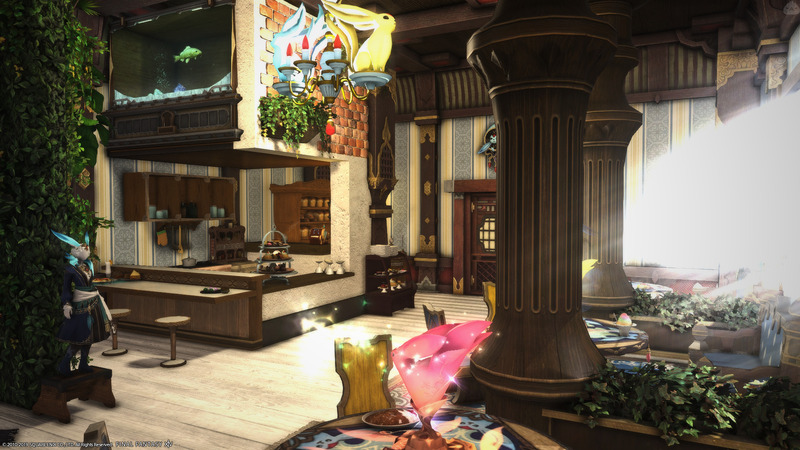 You can find the Live-A-Live Café on Ragnarok, Shirogane, 7th ward, Apartment 66. It's always open for adventurers in need of a snack and a steaming hot beverage.